If you are considering a home remodeling project and have been researching remodeling magazines or websites, you may have come across the term “design-build remodeling” or “design-build remodeler.” While the meaning may seem obvious, it is helpful to know what you can expect from a design-build firm, such as McClurg, before you hire a contractor for your remodeling project. “Design-build” combines project design, product selection and construction into a seamless process through a single company - the design-build remodeler. 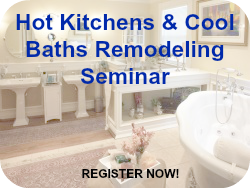 Many homeowners who are planning a remodeling project prefer this method because it provides them with a single point of contact for all aspects of the project and better control over costs and accountability. Working with a design-build firm eliminates the need for you to hire and manage several contractors independently to work on your project. For example, without a design-build firm you may need to hire and manage the work of a designer and/or architect, a general contractor, and one or more subcontractors for specific installations such as plumbing, electrical, flooring and tile. A design-build remodeler manages all of this for you and deals with all day-to-day tasks such as ordering, scheduling and addressing any unexpected obstacles that may occur along the way. The design-build remodeler’s job is to maintain regular communications with you so that you can make informed decisions and not have to worry about managing your remodeling project. Design-build remodelers prepare detailed drawings of the project and work with you to finalize the design and material selections. 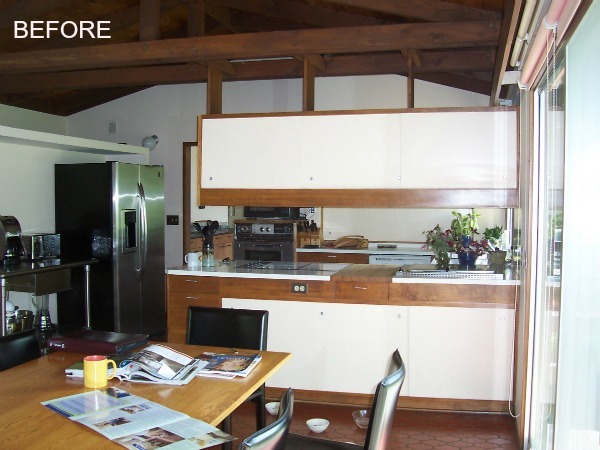 BEFORE: An outdated contemporary kitchen. 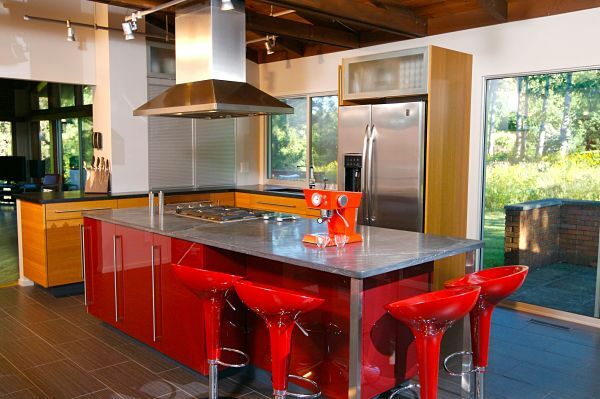 AFTER: This award-winning kitchen features a bright red island with jet black granite surface. Cabinets includes an aluminum tambour garage with exotic wood grain perimeter cabinets. The aluminum exhaust hood and unique cabinetry give this kitchen the updated, contemporary look desired by the homeowners. What Services are Provided by Design-Build Remodelers? The services provided by a design-build remodeler are comprehensive and coordinated. 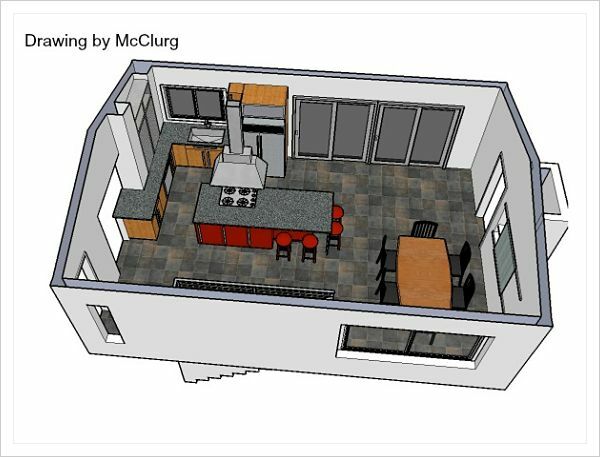 At McClurg, the process begins with assigning a Project Consultant to discuss your project ideas and then working through the design and selection phase to create a detailed set of specifications and drawings. Once this is complete and a contract is in place, the Production Team will work with you directly and coordinate all scheduling and personnel needed for your project. The Project Consultant is also your resource for selecting products. Our network of high quality material suppliers includes names such as Andersen Windows, CertainTeed, Dobkin Tile & Stone, Jim Bishop Cabinets, Elmwood Fine Custom Cabinetry, Kohler, Marvin, Moen and more. We work with many local suppliers as well, including Ferguson and Busch Products, and will accompany you to their showrooms. Your Project Consultant can also help with materials you may have in mind for the project that are outside of our network. 1. Consultation and Estimate. After an initial consultation a preliminary budget is prepared and an estimate is presented. 2. Project Design and Contract. The Project Consultant will present preliminary drawings and work with you to finalize the design and material selections. Once the design, selections and pricing is approved, a detailed contract is prepared describing the specifications for the project and the scope of the work to be done. 3. Project Construction and Completion. Your Project Consultant and your Lead Carpenter will meet with you prior to construction to review the schedule and answer any questions you may have. At this point, we will review a checklist including items such as access, pets, temporary storage and material storage to prepare for construction. During the construction period we work to assure that things are progressing smoothly. When questions arise or changes are needed your Lead Carpenter and Project Consultant will be available to address them. When work is completed, your Project Consultant and Lead Carpenter will meet with you for a final walk through to be sure that all of the work has been completed to your satisfaction and ask you to provide customer feedback.